With only a few shows left on their current run opening shows for Fozzy, Southern California rockers, Joyous Wolf, made their first stop ever in Upstate New York, at Upstate Concert Hall in Clifton Park Wednesday, April 4. Joyous Wolf were slotted in the middle of the lineup right before Through Fire and Fozzy. As each band member took their position on stage, frontman Nick Reese, slowly paced the stage while giving the crowd a deep dark stare as he slowly panned through all the fans in attendance with his eyes. The band opened with their song “Mountain Man.” As soon as the song dropped, Reese went from a cool calm zen state, right into an acrobatic, charismatic performer on cue, even hitting a full front flip and split before showing off his moves like Jagger. The small stage at Upstate Concert Hall was not big enough for Reese. During the bands performance of their new song “Witch Doctor,” guitarist Blake Allard showed off some of his impressive skills on the hammer. Drummer Robert Sodaro would not be upstaged with a brief drum solo. 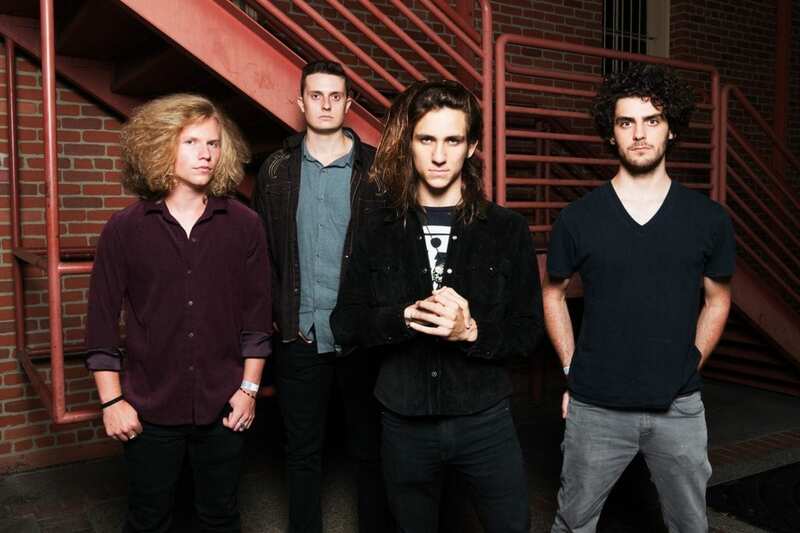 Formed in 2014, Joyous Wolf has been recently signed to Atlantic Records Road Runner division this past March. 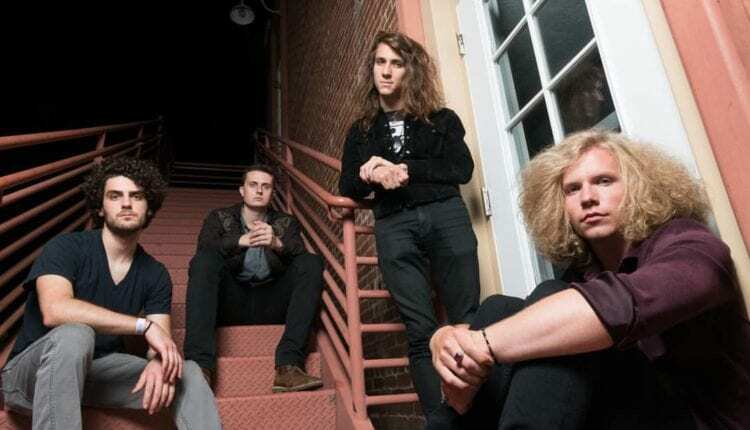 They will continue touring through the summer when they refuel and hit the road with Adelitas Way on April 12-19, and a extensive run with Blacktop Mojo April 21-June 13. 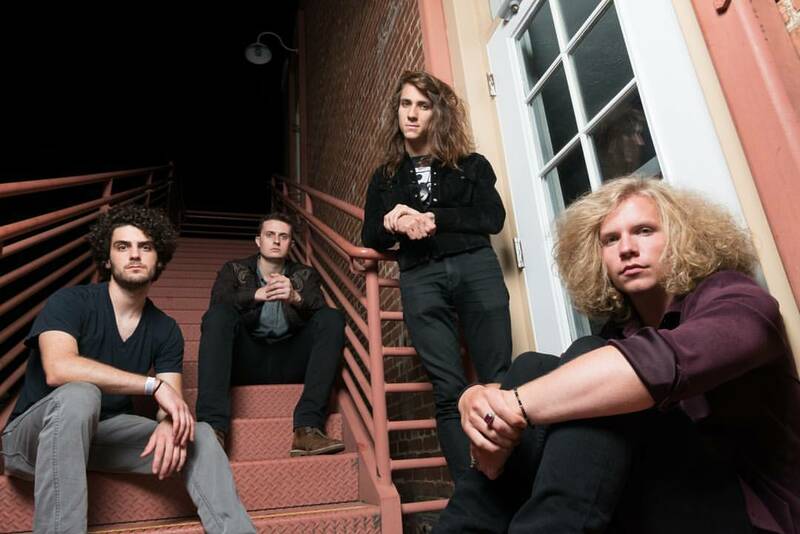 Joyous Wolf will appear at several of the year’s major annual rock festivals including Welcome To Rockville, Carolina Rebellion, Northern Invasion, Rock On The Range, and Rock USA. After the show, I caught up with singer Nick Reese. While captivating on stage, he is very humble and down to earth off stage, during our small chat. He was very compassionate when talking about his bandmates. He stated that after several years trying to make it, especially the last 3 years, he couldn’t have asked for better bandmates than the ones he has now. Reese said, “Not only are they really great musicians, they are like brothers to me. I would put them up against anyone.” He went on to say that Fozzy guitarist Rich Ward, said that he wouldn’t mess with bandmate and guitarist Blake Allard when it comes to playing. When talking about getting signed by Road Runner, Reese couldn’t express enough how hard he and his band worked to get there and is very grateful for the opportunity the label has given them.